Commercial Doctor is a highly innovative consultancy and training company. We help companies to acquire and deliver strategic, profitable new business. We specialise in growth planning, new market penetration and competitive tendering for companies which are focussing on ‘Breakthrough�?opportunities. 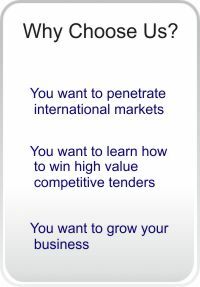 We have specialist knowledge of Brazil, and are proud to work with UK Trade and Investment (‘UKTI�? across several business sectors, delivering intensive commercial and marketing support for companies targeting the Brazilian marketplace. You require results, whether scoping an opportunity or solving a problem. We bring a rare mix of quick-witted lateral thinking, international commercial and legal experience, plus an eye for the bottom line. Developing your competitive advantage is central to our thinking.